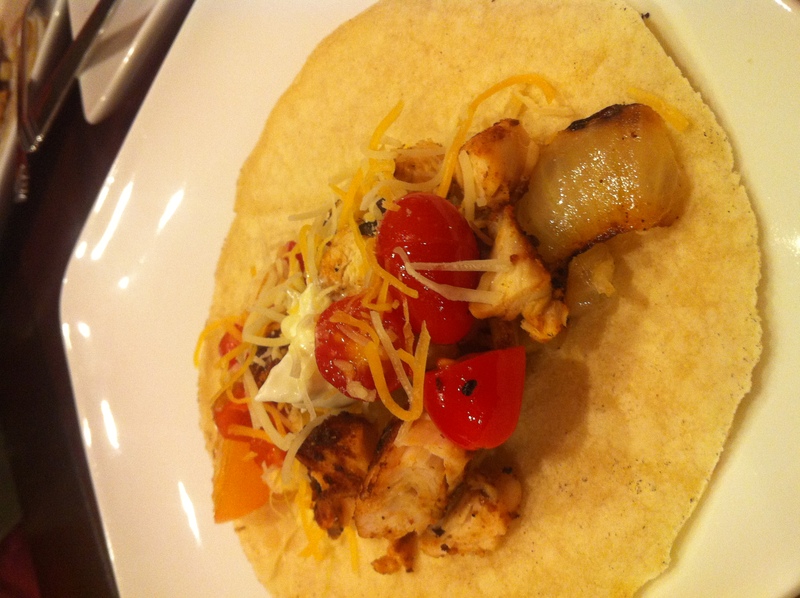 Growing up “taco night” was a big deal in our house, we usually had friends come over and share in the abundance of food, and as far as having fun while eating, it’s hard to beat this meal. So, with that in mind, it was a really nice surprise to come home from work on Tuesday and find that Taco Night had graduated to a more sophisticated level and made for me, by Mark. What is great about this dinner, is that it is a cinch to make and the ingredients are all fresh and healthful and seasonal for summer. If you’re lucky enough to have a BBQ grill this is the perfect all in one, little clean up meal to make. Step 1: Coat the chicken in the canola oil and then dredge in the seasoning mix. Set aside. matoes secured in an aluminum foil “bag”, then chicken over indirect heat on the grill – in that order. 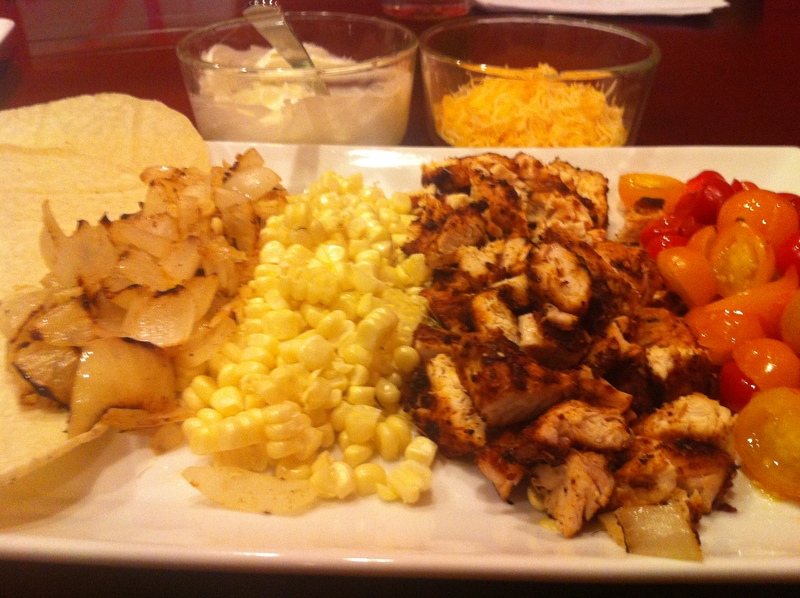 Step 3: Rotate the corn, flip the onions, shake the tomatoes, flip the chicken (only once) after ten minutes. Step 4: Allow corn to cool enough so that you can handle it; remove the husks and cut the kernels from the cob. Prepare the “sour cream” by mixing the yogurt and olive oil. Step 5: Serve and make your tacos!